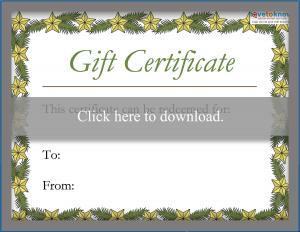 To download and use the gift certificates below, you'll need Adobe Reader installed and working properly. Make sure your printing options are set for a horizontal or landscape setting before you print. Each certificate is 8.5 x 11 inches, so you'll need a festive envelope to fit the certificates once you fold them. Click to get the garland certificate. 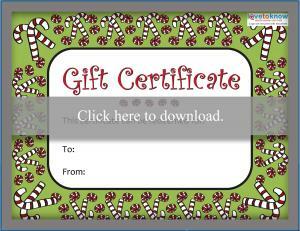 Click to get the candy cane certificate. If you have special skills, like you know how to install carpeting or you can decorate cakes beautifully, make your certificate for something related to those skills. Kids who give the gift of service should think about what they can reasonably do, like cleaning their rooms without complaining, before they fill out the certificates. The activity gift could be for just the recipient, the recipient plus yourself, or the whole family - these are customizable, so it's up to you! Sometimes, getting the right gift just doesn't work out before it's time to exchange presents, but you still want to give the recipient that particular item. 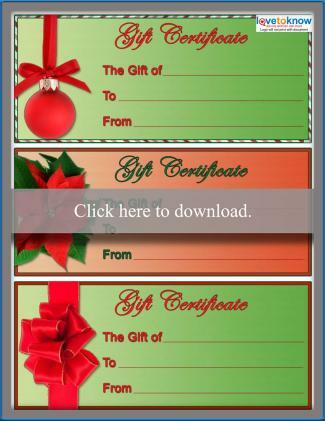 In these cases, a printable Christmas IOU (I owe you) certificate is the perfect solution. 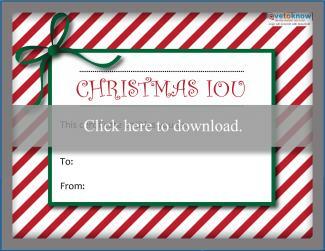 Click to download the Christmas IOU. Like the other two gift certificates, the IOU prints on 8.5 x 11 paper in landscape format using Adobe. The gift was delayed in shipping. At the time you ordered it, the gift was out of stock but will be replenished after the holidays. An item isn't available for sale until after the Christmas holiday. Fill the certificate out using a fancy font or your best handwriting. Fold and place the certificate in a brightly colored, matching envelope. Add a Christmas sticker to the envelope to seal it. If you're using the certificate as a Christmas stocking stuffer, you're set. If you are giving it as the sole gift, consider placing it in a flat shirt box and wrapping it or adding a bow to the front of the envelope. 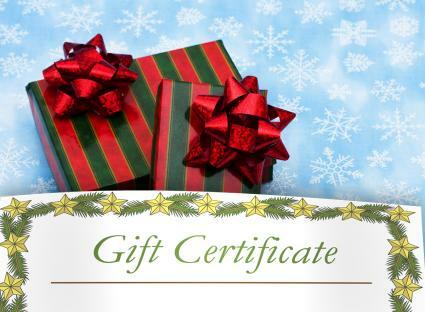 A gift certificate that you fill out is the most personalized present you can give during the holidays. Consider your skills and what the recipient's needs and wants are, and you're sure to come up with an idea that is fitting. They are perfect for gift giving regardless of whether the giver or recipient is an adult or child.